Driving a boat for the first time is a daunting experience and made harder without knowing the boating rules whilst in the water. Our aim is to increase your confidence by answering in detail each question or scenario in detail. You may even have experience driving a boat on the waters but its always a good idea to check upon the safety guidelines. Causing damage or becoming stranded out at sea is far worse than the same occurrence on the road. 1 What Side do you Pass an Oncoming Boat? 2 How old do you have to be to Drive a Boat? 3 What is the Speed Limit on a Boat? 4 Is it Safe to go out to Sea in Rough Waters? 5 What is the Drink Drive Limit on a Boat? 6 Do you have to Wear a Life Jacket on a Boat? 8 Do I need a VHF Marine Radio? What Side do you Pass an Oncoming Boat? In short, a boat must always pass another boat “Port to Port“, meaning that the boats must steer to the right of the channel. In the case of the power boat v sailing boat situation, you must always give way to sailing boats i.e. Power gives way to sail. However, large vessels such as ferries and container ships will not be able to navigate around, therefore sailors will need to use their common sense. How old do you have to be to Drive a Boat? The age requirements for driving a boat varies from state to state. For example, to drive a boat in Florida, anyone born after 1988 must pass a NASBLA examination or an approved vessel powered exam. Many states have no requirements for the age limited to drive a boat and you can read more about each state here. What is the Speed Limit on a Boat? Speed limits vary depending on your location at sea but almost all harbors abide by a strict speed guideline. If you are near a harbor, anchored boats, person in water, low water and more, the speed limit is usually between 6-8 knots. In open waters, there is no speed limit and its up to the driver to decide what is safe. The speed limits are usually clearly sign posted but we always advise that you speak to people around the harbor if you are new to the area. If you do not have a method of measuring speed on your boat, there are many stylish boat speedometers available that will do this accurately. Is it Safe to go out to Sea in Rough Waters? If you are a beginner, I would strongly advised going out to sea in rough waters as its dangerous. Incorrect boat handling in rough weathers can result in fatalities and its simply not worth it. Use common sense and if you are questioning whether or not its safe, just do not go out to sea. If you are looking for tips or help, we have written a detailed guide to driving your boat in rough seas, which also implies the dangers. What is the Drink Drive Limit on a Boat? It is illegal to drive a boat whilst drunk (and under the influence of substances) in all states in the US. Not only is it dangerous, there are very large fines and jail time for those caught. In the majority of states, if your blood alcohol limit is above 0.08%, you are committing an offence. You wouldn’t drink and drive in a car, so why do it in a boat? Do you have to Wear a Life Jacket on a Boat? The safety requirements for life jackets differs from state to state but the US Coast Guard rule requires all children under the age of 13 to wear a life vest. The rule is valid for all moving boats in the water. You can view state by state rules using this interactive map. Owning a high quality life jacket is the best safety equipment on board of any boat. They are cheap and in case of the worst possible scenario, they will most probably safe your life. There will be many mooring areas near the harbor and you must ensure that you have permission to moor before doing so. Some mooring areas are designated to residents whereas some areas are enclosed to life boats only. Also note, some harbors have a loading area for passengers to board a boat. This is usually okay for a short period but if you leave your boat moored up for too long, it will be towed away with a fine most likely. We strongly recommend that you get the best mooring equipment for tying your boat up and speaking to the local harbor master for instructions. Do I need a VHF Marine Radio? If the boat you are in charge of is less than 20 meters, you don’t need one by law but owning a Cheap VHF Marine Radio can be a life saver nevertheless. Of course you have your mobile phone, but if you are out to sea, they are not that reliable in terms of getting service. 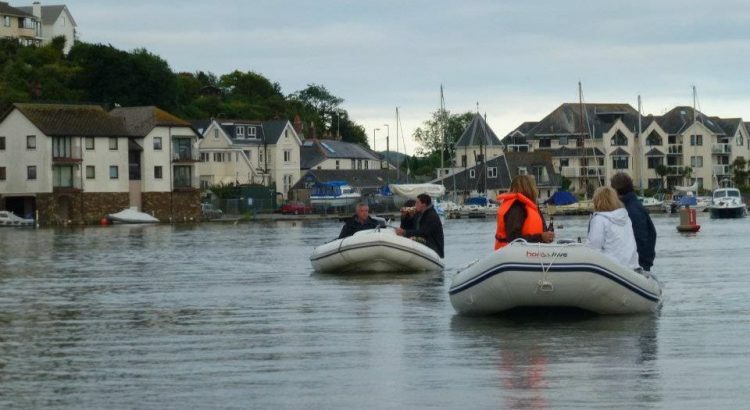 For the marjority of beginners, you will be driving a small size inflatable rib with an engine therefore you will not legally require a VHF radio. Morgan is a marine enthusiast with vast knowledge in boat building, trailer maintenance, various types of fishing, water sports and kayaking. With hands on experience, the content written is something that you can trust. Check out more about The Marine Lab here. That’s interesting that when passing another boat, you should always pass port to port. My dad just got into boating after a friends took him out on a trip, and he is going to invite me to join him on his next trip when he gets a boat. Knowing some marine services would be a good idea to look into. Stay up to date with all the news, recommendations and updates from our team.